This is the best way to start sailing On board from lesson one! A great way to see the Harbour and meet lots of new people. Waterproof Course kit with Textbook, Logbook and rope for knot practice. 1 x Free Discover Sailing Gift Voucher (on request - value $140 to give to a friend) . Points of sailing, going about and the gybe, rotating at the helm. Join your crew for drinks in the famous Sydney Hobart Bar. 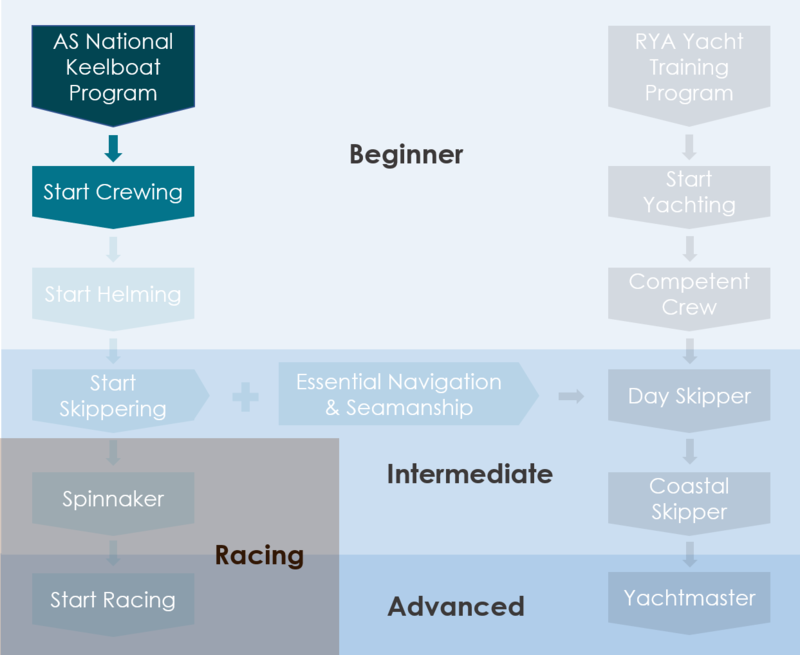 Plus $95 Yachting Australia registration, insurance on school boats, logbook, textbook.